The Founders and Editors of WriterWriter have released information on their upcoming Anthology Dark Dominion-A Fantasy Anthology. The Founders and Editors of WriterWriter, Morgan Wright and David Collins, have assembled a group of emerging and award-winning fantasy authors alike to present you with an anthology consisting of 20 epic, dark and grimdark fantasy tales of fear, courage, love and sacrifice in worlds of death and tyranny. Together with the stories, there will also be at least 10 striking black and white illustrations (depending on the stretch goals we hit, we'll be adding even more!!) by talented artists like Mike Cook, Michael Mitchell Jr., Nizar, William Zablocki Jr., Gillian Annandale and many more. We are striving to launch a fantasy anthology that comes out with a BANG, an anthology that stands for something and means something. This anthology is Dark Dominions. One of the first of its kind to support Gender Equality. 50% of our authors are male and 50% of our authors are female. Both genders are treated and paid equally (no preferential treatment). The anthology features both strong male and strong female characters (no damsels-in-distress to be found here). And last but not least, this anthology proves that women can write fantasy equally well as men, doing away with the gender bias against female writers in a male-dominated field. Because Gender Equality is something we're deeply passionate about. For generations people all over the world have been fighting for gender equality and yet we have still not achieved the point where we can say women are considered equals to men. Where women's voices are heard equally. Gender inequality continues to plague our society- more so than most of us are aware. Across the world, time and time again, we see women being treated as inferior to men. You might find yourself thinking that in the modern society in which we live, women are treated as equals but, upon closer examination, you'll notice that isn't the reality of the matter. Women in every industry and every country are still deemed less than men. This is most evident in the gender pay gap that still exists today. In the UK, women, on average, are paid 16% less than men across all industries and sectors. In the USA, this figure is closer to 20%. In the 21st century, we owe it to ourselves and to future generations to live outside such stereotypes and institutionalised discrimination. We owe it to ourselves to make a change. And with your help, we can. By supporting our Kickstarter, you are standing up with us against gender inequality and against injustice. You are giving a voice to all those women who have been on the receiving end of inequality all their lives and empowering them to keep fighting. Help us make our project a reality and stand with us in our effort to obliterate gender inequality altogether. IF YOU WANT MORE INFORMATION, PLEASE, CLICK ON THE IMAGE ABOVE. YOU’LL BE TRANSPORTED TO THE KICKSTARTER FOR DARK DOMINIONS. It has been a while since I have written a blog post that pertained to anything writing related. For the past few months, I have been preparing for the release of my debut novel Augur of Shadows: The Destined Series Book 1. Now that the book is out into the world, and people are purchasing it and reading it, I have a little more time to do a few other things. Well, when an author releases a novel, the real work starts: ACTIVATING YOUR PROMOTIONAL/MARKETING SKILLS. However, this blog is not about how to promote your novel, what marketing plan is the most effective, or how much should you spend on hiring a PR person. What this blog is about is Street Teams. Street teams are a way of promoting/marketing, but their stage in the release game and tactics are different. A street team is a group of individuals an author gathers to help him, her or they to receive an Advanced Reader Copy (ARC) and leave a review on the day of your release. Yes, the author needs to have ARC’s ready for their street team. Street Teams are also meant to help promote your work. And, Yes, the members of your street team need to promote your novel. Think of the phrase Street Team…a team on the streets, promoting your work and gaining new individuals who learn of your story and who may want to pre-order your novel. In my recent experience with my Street Team, I had done everything my research showed. I made a preliminary list of individuals who I thought would consider joining the cause. After my list was constructed, I created a google doc sign-up, and I posted on Instagram, Twitter, Tumblr and Facebook. I set a time frame for people to sign-up. Also, a Facebook group was created so that the members had a place to discuss weekly tasks and ideas. 1) Do NOT sign up if you aren’t going to participate. The purpose of joining a team is to help the author gain more pre-orders/reviews/press for their upcoming novel. You are effectively affecting their release day. Do not join a team if you aren’t going to be helpful. 2) Authors, do NOT take just anyone just because you feel the need to have an actual team. It is better to have a smaller team who will help you out rather than a large group of people that waste your time. This is about YOUR release day, not their ego. 3) Authors, do as much research for your team prior to inquiring. Having all the information makes your life easier when your team comes to you with questions/suggestions. You should be the pro. Again, this is about your novel’s release day…the day that you want to shine the brightest…so do the work. 4) This number goes with #1. If you’re on a team, DO NOT say you’ve completed a task, etc and not have done it. The author will check up on it. It isn’t because he, she or they don’t trust you, but they are trying to increase the reach of their audience. Why wouldn’t the author double check? The DON’Ts are quite short and simple. If you don’t want to do the work, DO NOT SIGN UP FOR ONE. I had too many people sign up for my street team, and a vast majority did not participate when the requirements were posted and conversations were had. Should an Author expect a few of the people to sign up and not participate? Yes, life is tricky and busy. While things happen and people’s lives can change a moment later, it is still vital that all members retain constant communication for sheer respect for one another. 1) Authors, once you give your team members an ARC, be open to their constructive criticism. Maybe they see something that you or your editor missed. It will only help you out in the long run. 2) Authors, tell your team members where you want your book/series to go. Retaining members who love your story/writing style will ease future street teams. 3) Authors, assign weekly tasks so that your street team knows what to do. You can NOT be upset with the team if they don’t know what they need to do. 4) Authors, have your street team speak with bookstores, news outlets, book reviews, bookstagrammers, BookTubers…anyone who has a reach. The more exposure you have, the better. If you are contacting anyone for a review/book spotlight/author spotlight/blog tour, you MUST be respectful and considerate of the individuals because…newsflash…you are NOT the only one contacting them. DO NOT be disrespectful. 5) Have your street team post pictures with their ARCs (even the eBook version). It’ll allow future readers to see others are truly excited about your story. 6) Have your members add your book on Goodreads (GR). Have them also post updates on their reading status. People do look for those things. 7) The street team should be speaking about your book to everyone. I am NOT saying that the street team needs to do nothing but concentrate on your book. Come on…it doesn’t take long to post on FB, GR, IG or Twitter. 8) Street Team can also share your blog post to others as well. As stated, getting your name out there is the most important. 9) If you have a giveaway, have your street team share that information as well. 10) Create an “easy-to-use” sign-up sheet/form for your street team. The above stated is not everything you can do for your street team. These are only suggestions. From my recent experience, I have members who decided to not participate, but I did have members who fulfilled the requirements I posted prior to starting, and I am very much appreciative of their hard work. Because of their and my work, I had a successful launch day. I also have learned what not to do the next time I form a street team. Now, everyone’s street team can be different, but the ultimate goal is always the same—maximum exposure of the author and his, her or their novel. I hope you find this information helpful, and I wish everyone success with their future book launches. 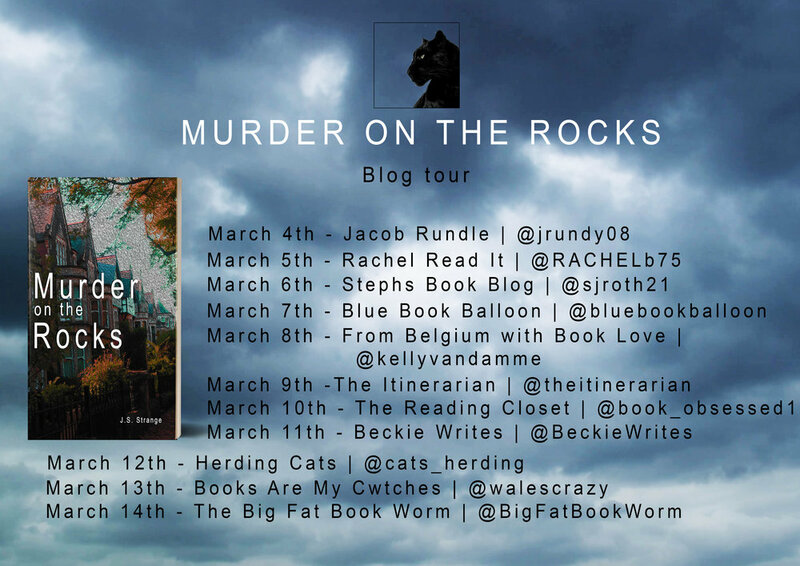 Murder on the Rocks Blog Tour!!!!!! A murdered writer, a mysterious death, and a group with jealousy at its heart, this is Jenner's toughest case yet. My true rating is a strong 4.5/5.0 for the novel. This genre isn’t my normal taste, but I was approached to give a true and honest review. The author takes us on an adventure (make me think of Clue) on how and why members of a writing group are being murdered. Jordan, the protagonist, has a lot going on. His mother passed, his father is mourning and Jordan himself is dealing with all the emotions that come with losing a parent. An idea comes to his head, “does my mother’s death have anything to do with it?” He goes on the journey of solving the mystery. The story does give a very classic murder/mystery vibe, and I enjoyed it. It maintained my attention throughout the pose. The cover get a solid B+. A great start to the series. I do recommend this novel to anyone who likes thriller/murder/mystery. I write under the pen name J.S. Strange. It’s because of a few reasons. My name is Jack Strange, but there is already someone writing under that name. And that is their pen name! So basically, they stole my name! But that’s okay because they’re cool. So J.S. Strange was chosen. It is my first name, Jack, my middle name and my last name, Strange. I like writing under the pen name, as I feel it holds some weight. I have a unique setting for Murder on the Rocks, and that’s Cardiff, Wales. There has been talking that people won’t want to read Welsh fiction, and that publishers won’t touch it. There are other Welsh setting novels out there, and Crime Cymru is champions of that Welsh fiction. It’s time Wales was put on the crime literature map because it’s a great setting and there are great stories to be told. Murder on the Rocks also features a gay male detective, in a bid to improve representation within the crime genre. I had been writing horror novels. They were Winter Smith: London’s Burning, and Winter Smith: The Secrets of France. I hit a wall with that series, after originally planning three or four, and I needed to get out of my writing slump. I was a reader of crime and thriller fiction, so I set out to write one of my own. I ended up with a murder mystery novel. My new book, out now, is called Murder on the Rocks. The name actually came from a misheard Fifth Harmony lyric! I had been writing about a writer that died from poison in whiskey. That whiskey was neat and poured over ice. Instead of whiskey on the rocks, I thought I’d play on words, and Murder on the Rocks became the name. I did find out that wasn’t what Fifth Harmony was singing, but I’m glad I misheard it that way! In Murder on the Rocks, Private Investigator Jordan Jenner has returned to work following the seemingly natural death of his mother. His first case back is that of a murdered writer, who has died in a prestigious writing group. Jordan begins to investigate, learning along the way his mother’s death is related. Murder on the Rocks is the first in the Jordan Jenner Mysteries series. I’m currently writing the second. Which is your favorite character and why? Jordan Jenner himself is my favorite character right now. He’s a complex man. He’s shy, misunderstood, sarcastic, blunt and hurting. He closes himself off from people without meaning to, because he’s worried about getting hurt, or trusting the wrong people. He can come across mean, but he’s not a nasty man. I like writing to him because he offers a lot. I’m quite observant of people and their behaviors and personality in real life, so I use a lot of what I’ve seen in my writing. I also like writing backstory and like to invent situations as I write. I like to know their ages, who they’ve been with, what music they like, that sort of stuff. It helps make them real to me. I’d say just do it. A lot of people say they have a book in them, but make excuses as to why they haven’t written anything. Just do it. Write down your ideas, write down the characters in your head, and don’t panic about how you’re writing and what you’re doing right or wrong. If you want to know how to do it, pick up some books, watch some tutorials, but just write and see what happens. I’m currently writing book two of the Jordan Jenner Mysteries. I’m hoping it will be published at some point this year, but we’ll see. I might hit a dead end again with the curse of book two! Marina DelVecchio is a college professor of literature and women's studies and lives in North Carolina with her family. Her work can be found online at Ms. Magazine, The Huffington Post, The Tishman Review, Her Circle Ezine, and The New Agenda. This is so ridiculous. When are they going to get it? I stand up. “You know what? This is crazy. I’ve been losing sleep and getting all panicky again over this for the past few weeks and for what? For what reason? Fear of disappointing you? And now here I am full blown disappointing you both and I did not fall apart or die. I am still here. And so are you guys.” I think of Susan’s opening lines to her speech. Welcome to the last day of childhood. “I’m an adult now, Mom. You guys have to let me make my decisions, without trying to guilt me into doing what you want.” And with that, I walk my adult self out of the living room, and they don’t follow. Often referred to as “the teenage whisperer”, Hannah R. Goodman’s twenty-year career working with teenagers includes the titles teacher, tutor, coach, and, more recently, mental health counselor. Hannah has written essays about mental health for various online publications. Her work has appeared on MindBodyGreen, OC87 Recovery Diaries, Zencare.co, and The Mighty. Though she has previously earned the title author with her first three books, those were all were self-published. This time around, publisher Black Rose Writing released her novel Till It Stops Beating in July, 2018. Literary Titan’s review praised Till It Stops Beating for “tackling a difficult issue like anxiety and making a story that was funny and sweet without making light of the issue.” Hannah is a member of ARIA (Association of Rhode Island Authors) as well as a graduate of Pine Manor College's Solstice Program in Creative Writing where she earned an MFA in Writing For Young People. She resides in Bristol, RI with her husband, two daughters, and black and white cat named Zoe. Literary Tropes: What are they and should you stay away from them? The term trope is used in a figurative sense, i.e. irony, or a reoccurring theme in a story, i.e. forbidden love. The previous statement kind of has two different definitions of what a trope is. In this blog, I will be referring the second part (the reoccurring theme in a story) In the writing community, the term trope is thrown around a lot, and when I was starting my writing journey, I had no idea what the term meant. The only thing that it did to me was turn me off from interacting with other writers because of my own lack of writing terminology. So, we have answered what a trope is…still confused? Oh, no worries. I was so confused that I had to have many different writers explain to me what it meant until they gave me examples. So, below, I have listed some examples of literary tropes, and hopefully these examples will help you. THESE ARE NOT ALL THE TROPES USED IN LITERATURE!!!!!!! Now, here is the next question…should you stay away from them? And here is another question, is there a way to stay away from them? To be a successful writer, I truly believe that you MUST stand by your story…your writing style. If someone says, “oh don’t write that story because it’s too close to another or “oh that trope is overly used” screw them. They aren’t being supportive or useful. Stand by yourself. Because these people may not see the vision you have, so as a writer, it’s your job to bring them the story. So, we’ve learned what a trope is AND I insisted that you make your own mind up about your story. I hope you find these helpful. There are numerous resources on tropes and writing on skillshare (Jenna Moreci has GREAT videos on it). Book Reviews: How and Why are They Important? Now that the holidays are over, it’s time to get back to blogging. I hope you all had an amazing/relaxing time with friends, family or alone. It’s a time of reflection and spending time with those you love. So, what am I to blog about today? After making a few lists, one particular topic kept showing up: Book Reviews. This can be a somewhat heated topic with some people, but here at the Writer’s Alley, we believe in a well-structured, FREE, book review, and I am going to get into why. First off, why even pursue books reviews? Well, the answer is really easy. A book review for any author is paramount. The book review has a few, key reasons: one, someone will read your story. Two, leaving a review on the social media platforms. i.e. Facebook, Twitter, Instagram, Amazon, Bookbub, Goodreads, will tell a potential reader that your story was read. Also, building a review rating will help your novel more exposure. On sites like Amazon, after a certain number of reviews, you novel will occur more in searches after a certain number of reviews. I don’t want to say it’s 25 reviews because I’ve heard conflicting reports on it. Pursue as many friends, family, book bloggers, Booktubers or anyone else. This is your novel; marketing is part of it. And here is where it can get tricky. I believe that ANY review is better than no review. I would rather take a 1 star review says more than no star. The person may have hated the story (you should be realistic that not everyone will like your story. Someone will hate it. Someone will bad mouth it. BUT the number of people who like it/love it/reread it is way more likely). Before you start sending your story out into the world, build the thick skin about reviews. You will survive. I’m sure someone didn’t like Stephen King’s novels or JK Rowlings. I mean come on! Secondly, you need to fully understand what a good review consists of. Here is another touchy/tricky subject, should you pay for a review? My answer is NO. Why should you pay for a review? Well, think about it. How would it look? If you were a reader, and you know the author paid for a review (it’s just an example lol), don’t you think that the review could potentially compromised? I completely understand that as a writer, you want to have as many reviews as possible, but you want authentic, genuine reviews. I reader will understand if your novel has a low rating or a high rating. Thirdly, another important thing about getting a review: Asking before you send something! There is nothing more annoying to have someone send a novel to you without speaking to the reviewer. That is a NO-NO. Don’t do it. If someone sends me their story without speaking to me, I will not review it. Now, I love to review novels. I read any genre; fiction or non-fiction. I don’t care what format. I am super approachable. I will make time for a book review. After we discuss what I require, I will find a date, and I immediately respond with a date to the author. I know dates are very important. Check out my book review policy if you ever want a book review!!!!! Contact me if you have any questions about book reviews or suggestions on how to approach book reviewers. I was recently asked this question by a fellow author (Allen T. St. Claire), “what makes a someone a good writer?” Throughout my day, I was pondering what traits does one require? If you go further, what makes someone a writer? So, let’s analyze the inquiry. I know that everyone has their own opinion when it comes what makes someone a writer. Does it take a four year degree? Do you have to be able to outline? Are “pantsers” writers? Do you have to sell a certain amount of books before you’re consider a real author? In my opinion, a writer is someone who has an idea. The difference between a writer and an artist is how we express our creativity. I express my inner words by putting them on paper…or a laptop. Do I have a four-year degree in Creative Writing? No. Do I outline? I actually outlined the 2nd book of my series to see how it would go….and I actually liked it. Have I sold any books? I actually have a good amount of pre-orders, so I feel confident, but that isn’t why I consider myself a writer. As I stated above, I put the worlds I create on a piece of paper, and I share them with the world. I pray that everyone loves them, but not everyone will like my stories. Believe in yourself….trust in your talents. Writing is a skill, and a skill that will forever grow. To me, a good writer is someone who completely believes in their stories. There story truly embodies the writer’s heart and soul. I truly believe that a reader will be able to tell how much effort you put into your story. So, please writers, believe in yourself. You don’t need someone else telling you how amazing you are! VIRTUAL BOOK TOUR IN MARCH-APRIL!!!!!! Well, the past week here at the Writer’s Alley has been filled with many developments! Some of them I can speak about in this post, and some of them you will find out in the coming weeks. One of the most amazing things is scheduling of my Virtual Book Tour!!!!! I have a great opportunity to partner with Silver Dagger Book Tours! ***In the post below is the link that leads to the sign up sheet. *** The book tour will occur March 1-April 1. I hope you will stay tuned for all of the fun!!!!!! The Book Tour will happen with many bloggers who sign up, including guest posts, reviews, and more. There will be a giveaway during the time. You don’t want to miss the amazing prizes that I have planned! If you have a website/blog, and you want to participate, please come join us and sign up! If you know someone who would want to participate, share the link! There is more exciting news! I have a book signing set up! More details later, but I wanted to share to you all the exciting news! Well, I have to get back to editing my manuscript, but I hope you all are doing well. Please, don’t hesitate to contact me or message me. I am always willing to speak with any of you. Pantser versus Plotter...Does it matter? Since I had started writing my debut novel, and interacting within the writing communities of Facebook and Twitter, there was a term that showed up constantly, Pantser. The term Pantser showed up in conversations, newsfeeds, blog posts, and I really could continue. So, I looked up the term, and the term indicates that someone doesn’t create an outline for the writing. I wanted to blog about my experiences of the pros and cons of both because I see a lot of shade being thrown on both sides. As an author who doesn’t use these terms, there are some people who don’t know about them, and they may or may not be receiving negativity because they may not outline their novel, or they get flack because they take the time to outline. -Without having an outline, you allow the story to fully develop as you write. If you don’t like a certain part of the story, you may change it. If you want to add another character or a scene to further development backstory, you may add as much as you want without worrying about redoing your outline. -If you hit a case of the “writer’s block” syndrome, it may be a littler more difficult for you to get over the hump. Unless you push passed the writer’s block, the chances of you not finishing the project may happen. Also, the story may goes in many directions without any guidance. So, just be aware of your story’s direction. -You have planned out your entire novel. You know where the story is going to go. You know exactly the number of characters, arcs and the ending. Also, someone who outlined their story may write their story faster (doesn’t mean better). -This is a HUGE reason why I am not an “outliner”. The writer is bound to their outline. If you want to change something, you may have to change the entire outline, which takes away from your writing. So, the question of this blog is: Does it matter? Does it matter that you are a plotter or a pantser? In my opinion, it doesn’t matter. I truly believe that as writers, we need stop worrying about whether we are plotting the “right” way, or are we going to be accepted by our peers if they find out that we don’t plot. The ONLY thing that we need to worry about as writers is our stories. Our stories are what we make us authors. When someone reads your novel, do you think that the reader is going to wonder, “wow…how long was this author’s outline?” Nope. Trust me. If you concentrate on your stories then I can bet that you will be a happier writer, and your story will flow out of you. Well, I hope this blog was informative and helpful. Please, like, share and comment on the blog. I would love to hear your thoughts. We can start a constructive, positive conversation. The First Two Chapters of Augur of Shadows!!!!!! I am so excited to share this piece of my soul with you all. I started this novel some time ago, and I have been diligently working to make it a perfect reflection of the world that I see in my mind when I think of Augur of Shadows: Book 1 of the Destined Series. Please, read the first few chapters, and leave comments, ask questions. Let’s continue to support each other, and let’s get those conversations started. I hope you all enjoy the introduction to my debut novel. New York City fostered some of the most architecturally exquisite infrastructures in the world. The buildings that once reached to the skies, now barely stood a few feet tall. The remaining enacted structures had pieces falling towards the streets, leaving massive indentations in the war-ridden streets. Sheets of darkness covered the skies in every direction. There was no sign of life except for a woman, Trish, her daughter, Abby along with a few other survivors. The winds echoed with the screams of the thousands of departed souls. Numerous abandoned cars filled the inner-city streets and interstates. The once vibrant city had become a snapshot of an apocalyptic scene. The aroma of engine fluid and gasoline filled the surrounding areas, making the lonely warriors’ trek extremely difficult. Trish’s group made their way through one of the world’s biggest graveyards in order to find any remaining signs of life, and she hoped to find a safe place. Trish found staying alert was difficult with the city had possessed a disorientating essence. “Abby, keep going baby. You have to keep going. And you will not stop!” Trish tried to urge Abby to continue, but her little one couldn’t move anymore. “Momma, where are we supposed to go?” Abby fought back her tears, yet she was unsuccessful. The whispers of the others in the group drowned out her mother’s reply. Abby began to panic, and her breathing became erratic and uncontrollable. “Abby is right. Where are we supposed to go, Trish?” She turned around, and saw that Tim Stevenson had asked the sarcastic question. “Tim, anywhere that is safe.” Trisha answered. He rolled his eyes with disapproval of her answer. Trish saw that he didn’t agree with her plan, yet she didn’t care because the only person that she worried about was Abby. She couldn’t believe how far that Tim had fallen since the attack. She remembered him as the most energetic spokesperson she heard, and she loved how he delivered messages of hope on Sundays. “I don’t know. We just have to get away from the city. I do know that we can’t stay here anymore, and we can’t let them find us,” Trish attended Abby, who started having a panic attack. Trish was determined to comfort Abby, but she found it difficult because Abby’s attack worsened as time passed. “Breathe, baby. Slow your heartbeat and breath.” Trish rubbed Abby’s back. She prayed Abby’s nerves calmed. “Why, momma? Do they want to hurt us?” Abby ran into her mother’s arms due to the fear of the mysterious predator. “Baby, I have no idea. I do know that if they find us baby, they will try to separate us. You need to know that I won’t let that happen.” Trish firmly hugged Abby, not letting her daughter move an inch. “Momma, I am really scared.” Abby locked eyes with her mother, and she channeled her mother’s strength. “My Abby,” Trish kissed Abby’s forehead. “Momma, I will protect you. I am strong.” Abby stood tall for her mother to see. “Baby girl, you are powerful because you are my daughter.” Trish gathered Abby and her belongings, and she motioned to the others to continue moving. They continued their pursuit to find a safe area. None of them had seen any other survivors. They had been running in between the debris of fallen buildings, catching sight of the hundreds of abandoned vehicles on the streets, and avoiding what appeared to be falling brush fires from the sky. The ash from the tree fires filled the air, creating a non-breathable environment for them. “Momma, why did people leave these cars?” Abby pointed to the abandoned vehicles. All the emotions and thoughts washed over Trish, leaving her feeling disorientated. A wave of fear paralyzed everyone, hearing the impact of burning debris hit the ground. The shock waves spread throughout all of the remaining areas. The survivors stood still, reminiscing of what once was. An entire flaming tree crashed down in front of their eyes, which forced them to scramble. The impact of the tree threw Trish into the side of an abandoned vehicle. “Momma! You’ve been hit! You have burns on your arms! Momma! We need to get you some help!” Abby tried to examine her mother’s injuries, but Trish shielded the horror from Abby’s innocent eyes. “Honey, listen to me. You have to stay calm, and be quiet. They will hear you. Do not worry about me,” Trish hushed Abby. Out of the corner of Trish’s ear, she heard, “Will you tell your daughter to shut up?” She immediately came to Abby’s defense as a lioness readied to pounce on her prey. “No one will speak to my daughter. You have a problem then you can leave.” Trish stood ahead of the group, and she wait for a response. Trish heard a faint whisper, “Abby.” She turned to see which one whispered Abby’s name, yet she found nothing. She examined the area for any indication of a new survivor. Trish only saw the same individuals that she had been with the entire time. “What the hell?” She thought that she had started going crazy. Her felt that her fear started turning into extreme paranoia. She took another step, and she heard the same faint whisper, “Abby.” Trish braced herself for a fight, yet she was left standing against herself. “Momma, what’s wrong?” Abby stared at her mother. “Oh, nothing baby. Keep moving.” Trish felt horrible for lying to Abby, but she knew that she would make the situation worse had she mentioned hearing a ghostly voice. “Abby.” The voice materialized within the somber mists. Trish about-faced to catch the culprit, and what she found left her speechless. She squinted her eyes to see if what she saw was real. She couldn’t believe her eyes. She bored into the eyes of a mysterious boy. She was in disbelief. The boy didn’t look over the age of seventeen years old. “Hello?” Trish tried to gain the boy’s attention, yet he didn’t respond. The boy’s face was inconclusive. Trish became relentless with finding out the boy’s identity. “Abby.” The boy mourned for Trish’s ears, which forced her to cease her pursuit. She stood face-to-face with the boy, and all she saw was his pajamas he was wearing. She saw glimmers of blue markings on the boy’s face, hands and arms. “What are you?” She rushed over to the boy with the sight of a falling, burning bush. “Watch out!” Trish lunged to rescue the boy, however; she passed through his corporeal body, and she crashed into the ground. She whipped around to see if the boy had survived, but there was no evidence of anyone being there. Trish became a firm believer that her mental instability and delusions have won, and she had officially lost her mind. Henri suddenly woke from a deep slumber, and jolted him self out of bed. He felt disorientated from his dream. He tried to focus his sight onto a stationary object so that he could regain focus. His senses were on high alert, and he continued to hear the screeching sounds of falling debris, and the whimpering screams of the survivors from his dream. “Where is she? Abby!” Henri locked eyes with his mother, and for a second, she didn’t recognize who was looking back at her. “Henri, calm down. Please, stop screaming.” His mother stared at him while she held back tears. Henri freed himself from the trance when he realized that he was sitting on the edge of his bed. His mother stared at him, alarmed and confused. Henri became annoyed at his mother for still starring at him. “Honey, you’re all wet. Your heart is racing. What is wrong, Henri? And, Who is Abby?” She examined Henri from head to toe to find anything that explained why he screamed bloody murder. “I…. have…. no idea,” his disorientation forcedly pulled his attention from the present reality. He realized that Abby was the little girl who was in his dream. For a second, Henri contemplated whether or not he knew her. Henri snapped out of his bewilderment, and he scanned his entire room to regain a sense of where he was. He noticed that he was looking at the poster his parents gave him for his tenth birthday, of his favorite comic book character, Phoenix. For as long as he could remember, Henri wished that he could be like her. He didn’t want the responsibility of having a cosmic influence because he could barely handle doing his morning chores, but he loved the idea of escaping from his reality. His mother did love to remind him constantly. He did, however, wish that he could to somewhere new. He wished that he could fly away. “Are you okay, Henri? Your screaming terrified me. I have never heard you scream like that before,” his mother pulled him into her arms if it was her first time holding her child. “Mom, would you stop it. I don’t need a hug right now. I’ll be okay. It was just a nightmare…. that’s all,” he readied him self for bed. He was not in the mood to discuss what he had just experienced, and he didn’t want to hear how church could make him feel better. “A nightmare? About a girl named Abby?” She continued to examine him to see if he had hit his head on anything; maybe that would explain what her son was saying to her. “You know me, Mom. I just love those Indie horror flicks. I can’t get enough of them.” Henri mumbled under his breath so she didn’t hear him. “Um. Mom,” Henri stopped himself from telling her his secret, but he the internal struggle again, and the idea of telling his mom terrified him. There had been so many times that he wanted to just say the words, but every time, Henri found an excuse not to tell her. He looked at his alarm clock, and he noticed that many minutes passed, and he needed to get his mother to leave. “There is something that I want to say, but I don’t know how you will take it.” He slowly glanced at her to see her expression. For a moment, Henri told himself that he decided to tell his mother. He didn’t want his fear to get in his way anymore. He went to say three simple words, yet his fear popped its ugly head in, and Henri shut his mouth before he said anything to his mother. He hated the idea of not telling her the truth because he knew how much pain that she was feeling because his dad was gone, and he knew that she had a problem with blaming her self for his withdrawal. Henri knew that his secret was the reason for the dissolution of their relationship. “You need to get some sleep. Your first day of school is tomorrow, and I don’t want you to be exhausted. If you need me, come and get me.” She walked over to him, and kissed him on the forehead. To re-assure his mom, Henri smiled, and he uttered, “Night, Mom. I’ll see you in the morning.” He hated how things were anymore, and he knew that things would change when he told his mother the truth. He wasn’t ready for the possibility of losing his mother. “Good night, Henri.” She left the room, and returned to her room. Henri sat in his bed, replaying the dream in his mind. He wondered what was happening in his dream. Everything about the dream felt unbelievably real. For what seemed like hours, his thoughts of Trish and Abby raced in and out of his thoughts. Henri wished that his dad could be with him. He knew that his dad would listen to him. His thoughts returned to his dream. Henri wondered about the light Trish had mentioned. He didn’t know why the city was abandoned, and there were almost no other people around. He couldn’t stop asking himself what had happened. Yet, he was intrigued by whom or what the light was, but a part of him didn’t entirely want to know the identity of the light either. He remembered the smells and the sounds. The eerie chills that filled the city’s rubble, and Henri felt an enormous presence in the city. My Article on Stormgate Press!!!!! I hope that everyone is having a great Friday. The weather in New Orleans has finally mimicked the weather that I experienced, growing up in Illinois. The nice, cool, crisp breeze brushes against you, and you get the chills all over. If anyone of you have never been to New Orleans, the weather is usually extremely humid and very hot. Now, onto the point of this post, which is not to give you all a weather report. So, a week ago, I was given the opportunity to write an article as a guest on Charles Millhouse’s online blog Stormgate Press. I am proud to announce that the article launched this morning at 9 a.m., and there has been a good amount of positive feedback already! I want to thank everyone who took the time to read the article. Please, continue sharing the article with others who you think would love it. I take great pride in the fact that I am self-publishing, and all the knowledge I have gained because of my experience self-publishing. So, if you haven’t visited Charles Millhouse’s site, you should. You are missing out if you haven’t already. I’m going to keep this post short because it’s more of an announcement! I was honored with the opportunity to write an article for Stormgate Press! It goes live tomorrow morning, 11/2/2018. I will be sharing the link so that all of you can read it! I hope that my words ignite something within each and everyone of you! So, I thought that I would do something fun today, and I would write a poem for the first time ever. ***Disclaimer*** I have no technical training in poetry, but I thought it would be fun, and I have said before that I love to learn. So, please leave comments so that I can learn! Also, I needed a break from editing my fifth draft, so why not write some poetry?! 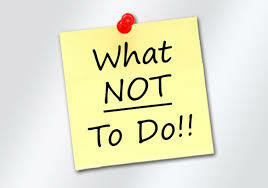 In the course of writing my debut novel, title to be revealed really soon, I started to ask myself, “what should I write? What genre is popular?” I have compiled a significant amount of research for writing a novel, and one of the sources stated to write a book in a genre that is selling well. I ask myself, “why would I want to do that?” I don’t understand why someone would write a novel in a particular genre so that it sells? And through the course of the past couple of weeks, I have noticed a trend on social media, i.e. Facebook, Instagram, and Twitter. I truly believe that writing should come from a place of joy, excitement and motivation. One would want to write the genre that has the magic lasso that binds them. If you love fantasy, then write fantasy. You love contemporary realism then go for it. Write what you love. Please, if you remember anything from this blog, remember this, no one sees the world the way that you do. So, if you have an idea for a story, start writing. Don’t look back. Don’t worry that your story may or may not be like someone else’s. It doesn’t matter because, as I stated earlier, no one sees the world that you do. Write your beauty. Write your love. Just write! For years I wanted to write a piece that would motivate someone in any way possible. As many other individuals in their lives, I allowed my self doubts get in my way. Anytime that I had an idea for a story, I shrugged it off. I locked it away in the vault of my mind. Am I good enough? What if no one reads what I wrote? Worst off, what if someone hates what I wrote? These are some of the self-damaging ideas that ran through my mind. There comes a point in your life when you need to stand up for yourself even if the villain in your story is you. I always did well in school when I was a child, so I knew that I had talent; however, my grammar is not always perfect. I do make run-on sentences, and I still to this very day hate semi-colons. Should I have allowed these insignificancies stop me? The answer is always no. One afternoon on a day off, I had the idea to write. I had no idea why I had the idea run through my head. There was a few moments when those pesky old insecurities came creeping back, and I started to doubt myself and my abilities. After a few minutes of mental torture, I said enough is enough. I picked up a pen, and I started to write. I wrote for hours and hours. At the end of the day, I examined my writing, and I wrote more than 10K words!!! A very important lesson, that I have learned in the time that I started writing, is that the only person that gets in your way is you. We all need to love who we are, and we need to find the self-confidence in ourselves so that we can share the stories that we have. I truly believe that each and every story that one has in their minds will affect someone. Maybe that one person needs your story to get through a hard time. Maybe a young boy or girl is confused, and they read a story where the Main Character (MC) is going through a similar situation.